NSRA’s 2019 Show Calendar Featuring Streetkhana! GM Killed The Corvette Last Week, Did Anyone Notice? The Answers: Isky’s Nolan Jamora Sounds Off On Cam & Valvetrain Qs! Build your own custom newsletter with the content you love from Rod Authority, directly to your inbox, absolutely FREE! Rod Authority NEWSLETTER - SIGN UP FREE! 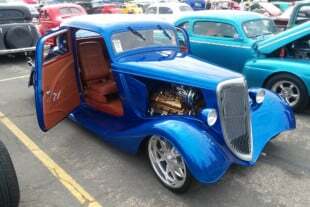 We'll send you the most interesting Street Rod articles, news, car features, and videos every week.